Spreading the word about brand and what the brand stands for should always be a priority. Securing the brand’s share-of-mind is a must if continuing to enjoy the patronage of customers old and new is important. There are plenty of ways to promote brand awareness. As above-the-line advertising and promotions could be expensive, one would naturally be more predisposed to turning to below-the-line initiatives to stretch advertising dollars. One good and inexpensive way to do this is through corporate apparel giveaways. 1. Free item for purchase – giving out corporate apparel with a purchase is one of the most effective ways to do this. Customers are always drawn to freebies. 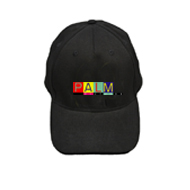 Enticing customers to buy more products to get special promotional corporate apparel like t-shirts and caps is helpful. For a bulk purchase of a dozen units of product, for example, a free t-shirt printed with the brand logo or promo campaign logo can be included. The expense incurred on corporate apparel on a per customer basis could be offset from the profit margin. The several dollars spent per corporate apparel item could still yield a considerable amount of additional profit from more items purchased by customers to be eligible for the freebie. 2. Promotional giveaways – if there is room in the marketing budget to hold promotional runs, use corporate apparel as promotional giveaways as well. In the case of food businesses, having a sampling event at a particular venue can be made more exciting with customer activities like games and raffles. Use exclusive corporate apparel as giveaways for the game and raffle winners in promotional events. 3. Event giveaways – event sponsorships are almost always part of the advertising and marketing budget. Tie-ins with companies, institutions, and other entities are great opportunities to spread word about the company. No company, after all, can exist on its own. Choose to sponsor events that are supported and participated in by the target market segment. Depending on the event’s expected attendance and budget allocation, you can choose to provide branded corporate apparel for all attendees to wear for the entire duration of the event. 4. Charity donations – donating branded corporate apparel to a charity of choice is also a great way to promote the brand and at the same time giving a statement about corporate social responsibility. There is a lot of mileage that you can bank on from an act of goodwill in providing for charitable event. Although you cannot count the business returns from these initiatives, you can be sure that the goodwill established will keep the company in front of the customer’s brand consciousness.